Come along to this winter walk in Bedford! We will go by bus, car (drivers needed) or taxi to the Old Kempston Mill where we will set off for a walk along the riverbank towards Bedford. There we will enjoy some nice views and will be able to feed the ducks and swans, as well as watch the rowers of Bedfordshire. 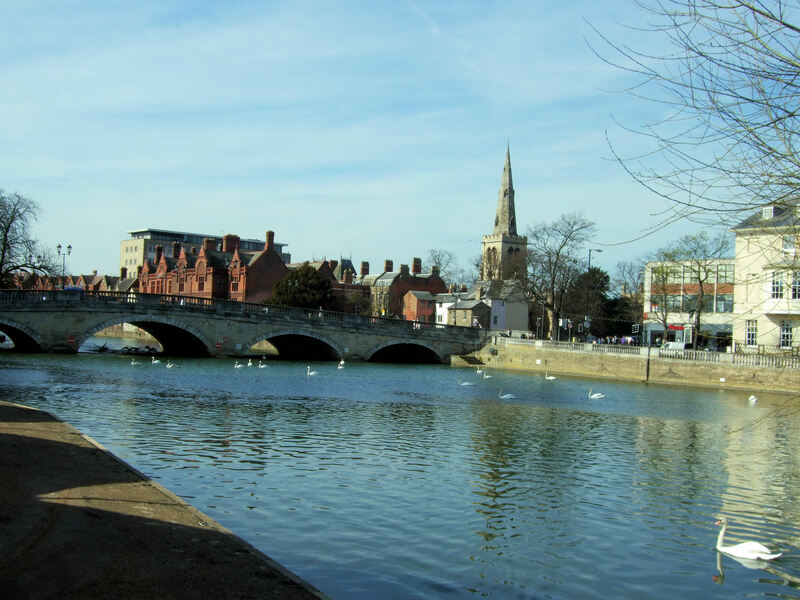 Once in town we will meet our guide, who will take us around the city, and will talk to us about the importance of Bedford in English History, and its role in the World War II. We will learn about the intrigues which led to the demolition of the Castle of Bedford, quirky societies such as The Panacea and so many other interesting stories and monuments which will give us a whole new point of view about Bedford. After the guided tour we can have some refreshments in the centre or wander around the street markets. We will come back to Cranfield on the C1 bus line. Meal provided? : No, you can bring sandwiches and snacks and have them during the walk and tour around Bedford. Gear: Comfortable clothes and footwear, better hiking boots because the path may be muddy, and waterproof clothing. Always carry suficient water with you. Other information: Drivers needed! Please if you drive let us know so that we don’t have to hire taxis. This entry was posted in Local walk, Walks.